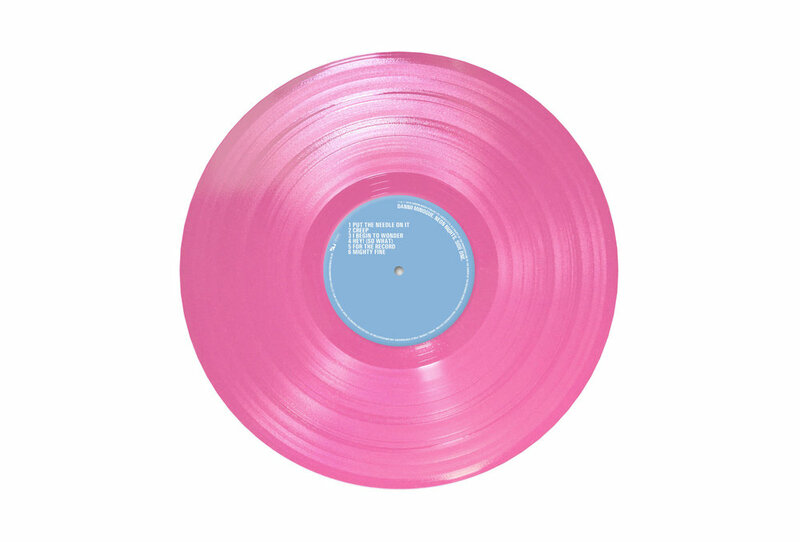 To celebrate the 15th year anniversary of it's release, Dannii Minogue and London Records are releasing a special limited edition blue and pink vinyl album, a standard black vinyl album and a re-release deluxe cd package of Dannii's classic pop/club album 'Neon Nights'. Both the vinyl and cd releases include the original album alongside a mix of rare bonus tracks and remixes from the likes of Jason Nevins, Almighty and Tiga. The set also includes two celebrated mash up remixes. 'Don't Wanna Lose This Groove', which mixed 'Don't Wanna Lose This Feeling' with Madonna's 'Into The Groove', was the first remix Madonna ever approved for official release using one of her songs! Also included is 'Begin to Spin Me Round' which mashes up Dead or Alive's iconic 'You Spin Me Round (Like A Record)' with 'I Begin To Wonder'. Dannii says: "When I embarked on a solo recording career and released my first album in 1990, music was only released on 7” and 12” vinyl. Fast forward through my album releases and throw in a bunch of technology changes; cassingles, cassette albums, CDs, Mini CDs and we are finally back to vinyl! Neon Nights never had a vinyl release - it was the 90’s, and the industry was entering the digital age, and no-one was looking back at this experience of music listening. Thankfully Gen Y has embraced the nostalgia of the record player, so you finally get to Put The Needle On It with these tracks (please turn the volume up loud enough to annoy your neighbours!)." Neon Nights was the fourth studio album from Dannii, released 17th March 2003. Dannii worked on the record with European producers including Ian Masterson, Terry Ronald, Korpi & Blackcell and Neïmo. A heady cocktail mix of pop and club influences, Neon Nights was both a critical and commercial success. A veritable pick and mix of the European dance scene at the time, Neon Nights spawned four Top 10 hit singles in the UK 'Who Do You Love Now?' (No.3), 'Put The Needle On It' (No.7), 'I Begin To Wonder' (No.2) and 'Don't Wanna Lose This Feeling' (No.5). The album reached No.8 on the UK Official Albums Chart and was certified Gold. In Australia it was nominated for "Best Pop Release" at the 2003 ARIA Music Awards. Neon Nights is released on it's original label London Recordings. The Because Group has acquired the London Recordings catalogue from Warner Music and will be revitalising the incredible list of artists including Dannii Minogue, Bananarama, Happy Mondays, Fine Young Cannibals, Orbital, Jimmy Somerville, Bronski Beat, East 17, Goldie, Shakespears Sister and over 50 other important catalogues. Pop enthusiasts across the globe will be delighted by this incredible re-issue. The LP will be released on a limited edition blue & pink 180gm vinyl, a standard black vinyl album, plus a deluxe cd on June 22nd 2018, with a pre-order going live on April 6th.